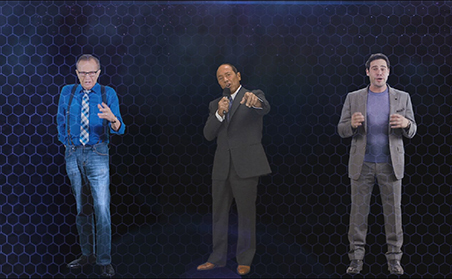 HumaGrams™ is built by ARHT Media, which is the most believable and interactive 3D human holographic technology. This technology can beam a human feature into the stage through smARHT platform, audience does not need to wear special glasses, which creates an unforgettable experience for them. In Feb 2016, NetDragon became ARTH’s exclusive strategic partner in Asia, together the two companies are going to establish the strongest power of Virtual Reality (VR) and Augmented Reality (AR) in Education and Entertainment Industry, promotes its application in China and other Asia markets. 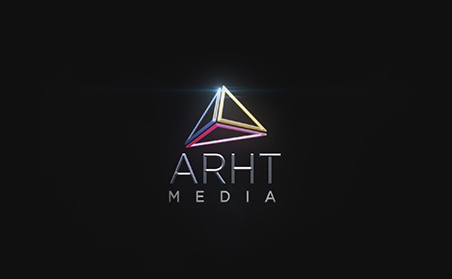 ARTH is established in 2012, the team members are experts with decades of experience across technology, entertainment, marketing and finance area, which aims to bring the best HumaGrams technology to the world. In June 2016, NetDragon and ARTH jointly held the global largest AR education event at Hong Kong Science and Technology Parks. The world-leading presenters such as Tony Robbins, Larry King etc. 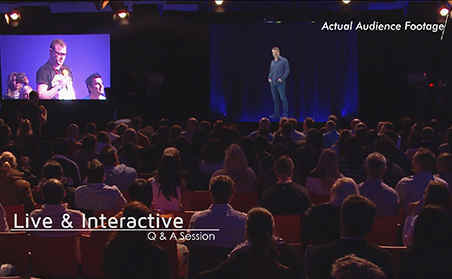 are beamed into the Science and Technology Parks on live, and interact with the audience members.